What to Serve with Fajitas for Parties? 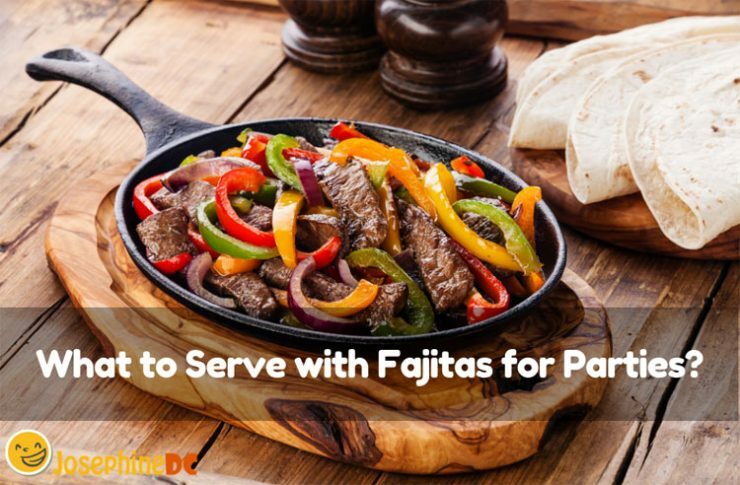 When fajitas are one of your main dishes for an upcoming party, I know that you intend to let it shine in the buffet by choosing the best side dish to complement the recipe. What to serve with Fajitas for parties? Making freestyle Fajitas is what makes it more exciting and challenging in my personal menu. Hence, choosing the right pair to go with it will surely be a kick. Do you know that Fajitas are a healthy choice? That is the main reason why it is a favorite food for gatherings. Even though the majority still loves the original Fajita recipe, a new variation could be the start of a new favorite. Do you want to learn how to make Fajitas? Cooking Fajitas is a breeze. That is why it is practical to serve during parties especially when you are trying to juggle your chores with limited time. To make it faster, I marinate the chicken strips the night before so it is ready to go in the morning. If the side dishes can be prepared beforehand too, then it would be more convenient. You can choose your own kind of rice to accompany Fajitas. However, my favorite is Spanish rice. This rice is always together with the Fajitas that my grandpa make since I was a child. 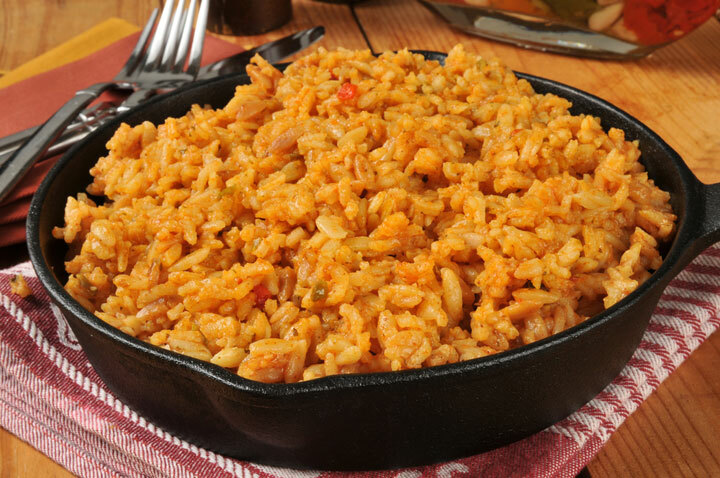 Spanish rice is a mixture of rice, water, tomato sauce, bell pepper, onions, butter, stock instead of water, and seasoning. I love to place the Spanish rice side by side with the chicken on the tortillas before wrapping it up. 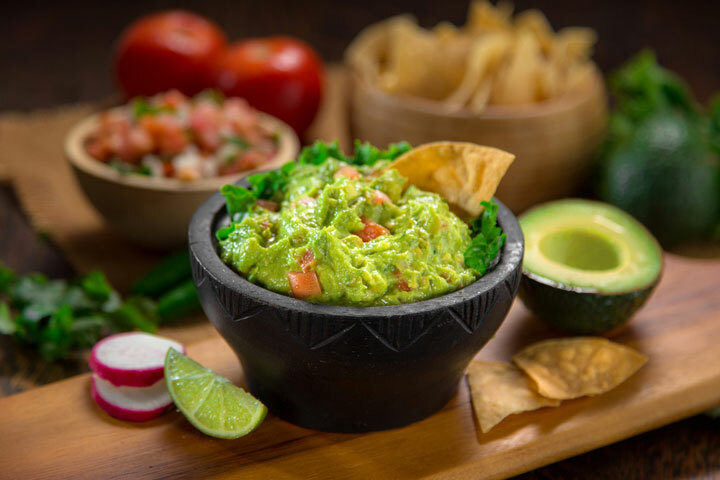 Who does not like the ever so popular guacamole? Fresh avocado and a little bit of salt are the basics. However, have you tried adding few drops of lemon or lime giving a kick to the avocado taste? You can actually try an adventure of your own when it comes to other ingredients. For example, you may add extra chilies, tomatoes, and cilantro. Now, you got a completely new healthy recipe. Imagine eating your Fajitas with a bowl of guacamole beside it. It is your choice actually if you want to make your Fajitas light or heavy like what you like your salad should be. 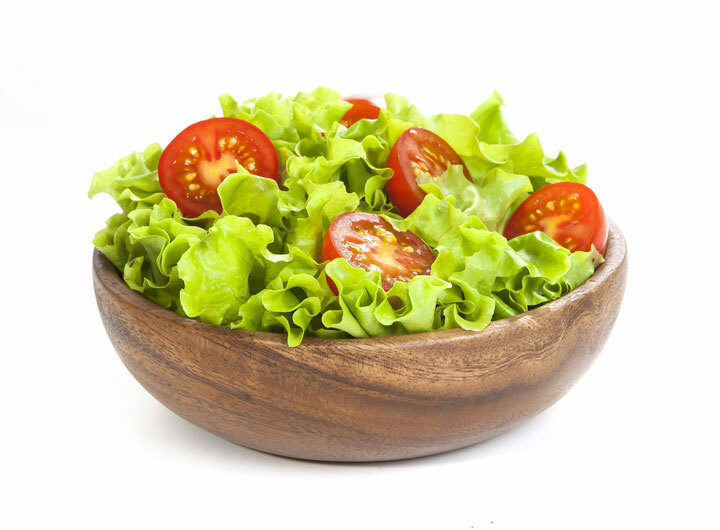 My lettuce salad contains not only lettuce but a mixture of flamboyant and delightful vegetables as well. You do not need to follow a certain vegetable list to make it mouthwatering, but make use of whatever you have that is near and easy to obtain. I pair my lettuce salad with Fajitas with ingredients that are heavy to the belly. See also: Can You Freeze Chicken Salad? My all-time favorite Fajita is with chicken meat. The taste of the chicken enhances when it comes together with some black bean and couscous salad. Even with this pasta salad, there will still be plenty of room in your stomach. Make your salad according to the instructions found in the pack, and you will not get wrong. Mix some of your favorite vegetables to nibble, and all will be perfect. 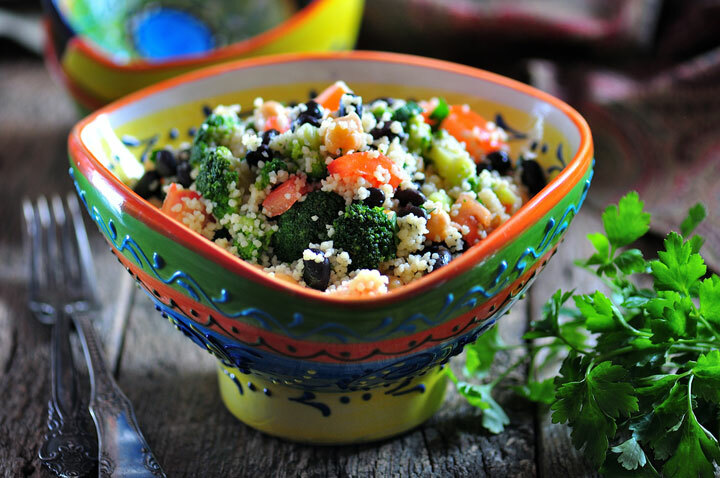 You can eat this side dish with your Fajitas in a bowl or blend it with your Fajitas fillings. As a quick tip, canned beans can make your job faster when making the salad. It is the strong family influence why I love Mexican food. I have been eating Mexican food from my grandma down to my mom’s cooking especially on special occasions. Hence, Pico de Gallo is no stranger to me. This recipe is always around when Fajitas are on the table. I am not sure if Pico de Gallo is for Fajitas side dish, but I eat it together always. 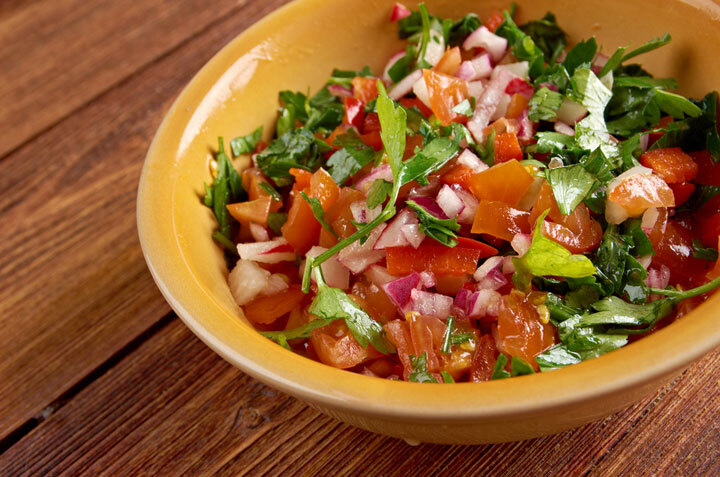 With the mixture of shredded tomato, cilantro leaves, red onion, jalapenos, salt, and juice. Then, I purposely add fresh cubed avocados to add on the flavor. Even with guacamole around, I still choose Pico de Gallo to eat with my Fajitas. I love tortillas, even more, when there are toppings. When eating Fajitas, the bowls of different toppings are simply an explosion. I choose additional toppings and extra tortillas chips to serve with Fajitas when the party is full of young people. I make more side dishes when my teenage daughter brings along a group of friends from school. Pour some flour or corn tortillas on a big bowl, and offer some dip, salsa, cheese, sour cream, and diced tomatoes as along with it. The table is totally inviting when you see the colorful arrangement of food. I simply place the Fajitas fillings on display and let the kids wrap their own choices. Surrounded with tortillas and toppings, the party is a blast! Oh well, grilled peppers are not exactly my kid’s favorite, but when my party is for office mates and family reunions, my mom would add on grilled peppers for the courageous. Guess what, it is the first side dish to vanish! 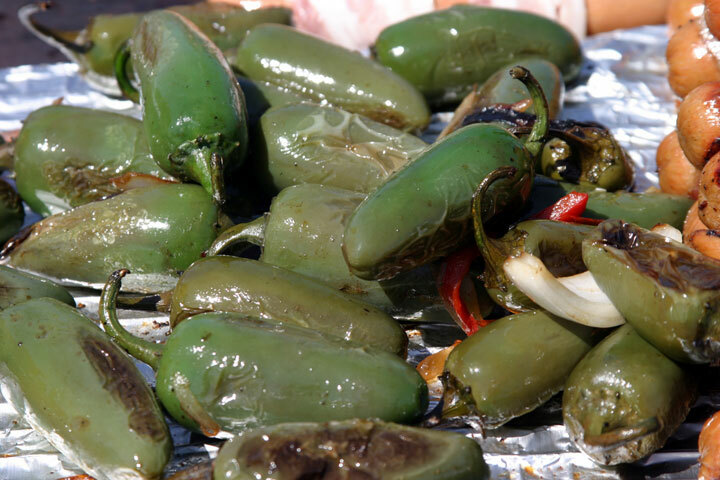 Grilled peppers are actually appetizers, so it is a good choice for a start. If you like eating your Fajitas with a spicy flavor pick this one. I suggest choosing Jalapeno peppers in making this dish. It is not too hot or mild either. Just enough for spicy fun. Season them before you grill with salt, or whatever tang you like. You will see, your Fajitas will sizzle with this side dish. When I make Fajitas for my family, I choose chicken Fajitas that I have learned from my mom. I serve this during weekends and when the kids request to bring one during school parties and gatherings. The ingredients are all in my pantry, and it is not that costly. Chicken Fajitas is my on-the-go recipe that my family considers special. However, when we celebrate special occasions particularly on family reunions, Christmas, or New Year’s Eve, my grandma’s Beef Fajita recipe is necessary. It is already a part of a family tradition to include in the menu and always makes the star of the feast. I tell you, beef Fajitas is so superb that I cannot wait to wrap up the fillings with the tortillas. However, if I feel greedy, I can always opt to make a combination of the two. It is my own freestyle, and does not taste like my grandma’s “delicious,” but it certainly is the yummiest Fajita that my kids have ever tasted. Who knows, it would be the cream of the crop for them in the future! Making Fajitas is utterly easy. How you make it later according to your taste is all up to you. You only need the basics. The rest, you can ask your own creativity and imagination. There are always those unique Fajitas somewhere! Mix lemon juice, oil, and seasonings in a bowl. Add in the chicken strips and blend all over to coat. In a covered container, chill it for four hours. Sauté peppers and onions until crunchy but tender. Set aside and keep warm. Drain the chicken mix from marinade and cook over medium-high heat for 6 minutes. Pour in the pepper mix to blend in with the chicken. Mix carefully while heating through. You can now spoon fill your tortillas with the chicken mix. Check out this video on how to make Fajitas. Learn the basics, and then start from there. Do you already have an idea on what to serve with Fajitas? Try out any of my suggestions, and I am sure your Fajitas will, even more, be the best. Fajitas are not just great for parties but also for regular meals and even snacks. It is so simple to make that is why it is a hit. If you are looking for a delicious and healthy side dish for your Fajitas, you can make one that suits your taste. 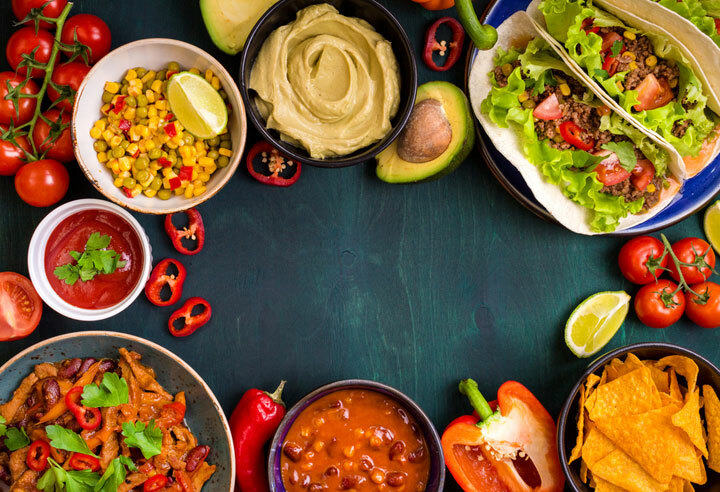 Not only does Fajitas allow you to mix your choice of ingredients, but the idea also gives you the excitement of introducing to your friends your own cooking style. If you have invented a new pleasant and healthy meal, then there is no way of stopping you from making for more. Do you think your version will become their new favorite?